Gulliver is a pitbull/lab mix who went missing near 15th and Harvard last Friday. 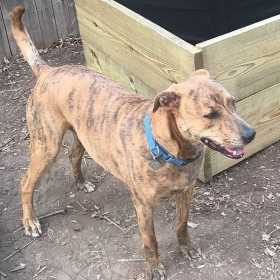 He is tan brindle, nuetered, was wearing a blue collar. He is very skittish and might run if approached. Please call.